Here is the grubby behind-the-scenes reality. The things artisans endure to bring you their creations. Smashed thumbs, burned fingers, saw blade attacks, broken nails, goose eggs on our heads from hitting the bench pin, bruised knees from crawling around after a dropped stone . . . the list is long. When it comes to polishing, the brighter the jewelry, the dirtier the fingers, too! But, in the end, our passion makes us do it all over again. 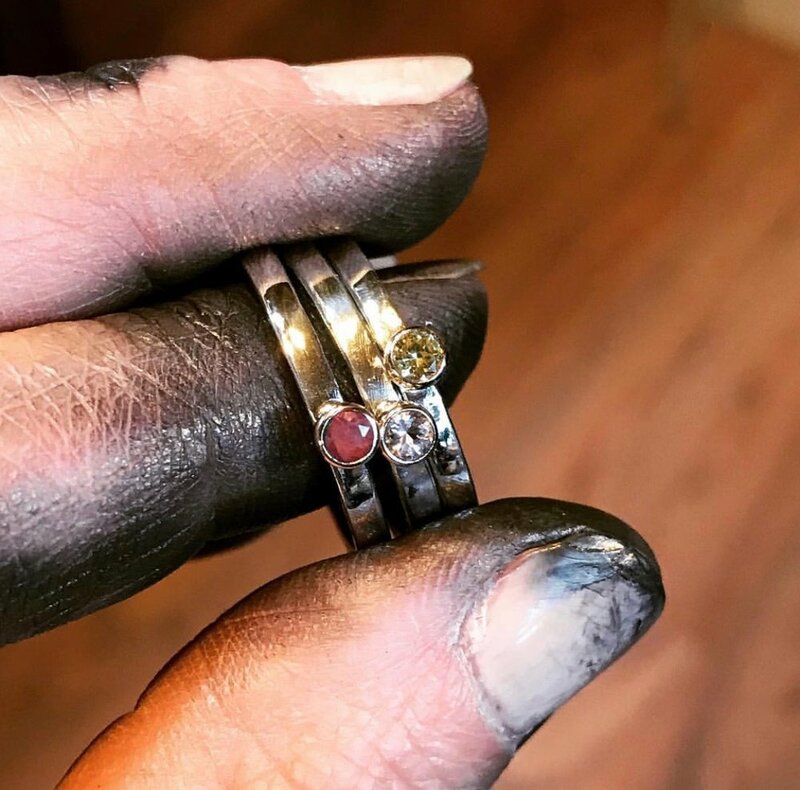 When it comes to polishing, the shinier the jewelry, the dirtier the fingers get! And it does not come out of the nicks and scrapes and nails easily, either.